Book launches are always a good opportunity to meet people with shared interests and stories. 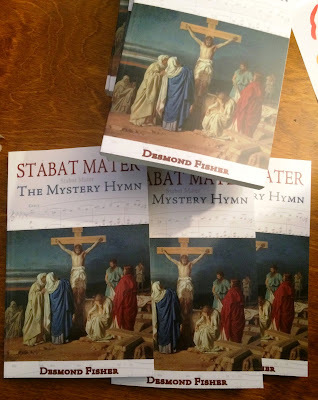 Last week, it was a pleasure to be invited by fellow blogger Michael Fisher to the launch in O’Connell’s in Donnybrook of a new book by his late father Desmond Fisher, Stabat Mater, The Mystery Hymn. The book was launched by former Irish Times colleague and former Senator John Horgan, who is also a former Press Ombudsman. As a young reporter, John Horgan was given a job at the Catholic Herald in London by the editor, Desmond Fisher, who also worked for the Irish Press. The attendance at the book launch included Wesley Boyd, who has reviewed the book in the ‘Irishman’s Diary’ in The Irish Times this morning [18 May 2015], and many former colleagues from, the world of journalism and broadcasting. But I was also there because of my theological and spiritual interests. Stabat Mater is a much-loved Lenten hymn among English-speaking Roman Catholics, although it was once been banned by the Council of Trent and later by successive popes. The title of this sorrowful hymn is an incipit of the first line, Stabat Mater Dolorosa (“The sorrowful mother stood”). The hymn meditates on the sorrows of the Virgin Mary as she stands at the foot of the Cross. It has been set to music by many composers, including Palestrina, Pergolesi, Alessandro Scarlatti and Domenico Scarlatti, Vivaldi, Haydn, Rossini, Dvořák, Karol Szymanowski, Poulenc and Arvo Pärt. There are many variations in the translation from the original Latin. So, in this new book the late Desmond Fisher seeks to get back to the original meaning of the author who wrote Stabat Mater 700 years ago. The hymn was well-known by the end of the 14th century. It was banned by the Council of Trent, but restored to the missal by Pope Benedict XIII in 1727, and was assigned by Pope Pius X in 1913 to the Feast of Our Lady of Sorrows (15 September). But who was the author? At times, the hymn has been attributed to a variety of sources, including popes, three Saints and a member of the laity who was jailed and excommunicated. In this book, Desmond Fisher identifies Jacopone da Todi (1230-1306) as the true author, and tells the story of his amazing life, from a dissolute to a disconsolate and desolate life. His privileged life came to end with the tragic death of his wife, and he eventually joined the Spirituali, an extreme, ascetic faction of Franciscans, before ending up in prison. With a sympathetic and understanding approach, Desmond Fisher tells an amazing story of mediaeval extremism, but also provides a new translation of the poem, while adhering to the original metre and rhythm and re-presenting its emotions. He compares his own work with other well-known existing English versions – including those by the Irish poet Denis Florence McCarthy (1817-1882) and the English Anglican priest and hymn-writer Edward Caswall (1814-1878), who became a Roman Catholic – and tries to challenge long-accepted preconceptions. This book was Desmond Fisher’s final achievement before he died on 30 December 2014 at the age of 94. In his final weeks, his manuscript was accepted by Gracewing. As part of the pre-Reformation heritage of the undivided Church, it deserves to be better known among other traditions, including Anglicans. Even Archbishop Richard Chenevix Trench omitted it from his Sacred Latin Poetry in 1874 because of what he saw as its Mariolatry. Hopefully, Desmond Fisher’s new book will help to redress this. Quae mœrebat et dolebat, pia Mater, dum videbat nati pœnas inclyti. 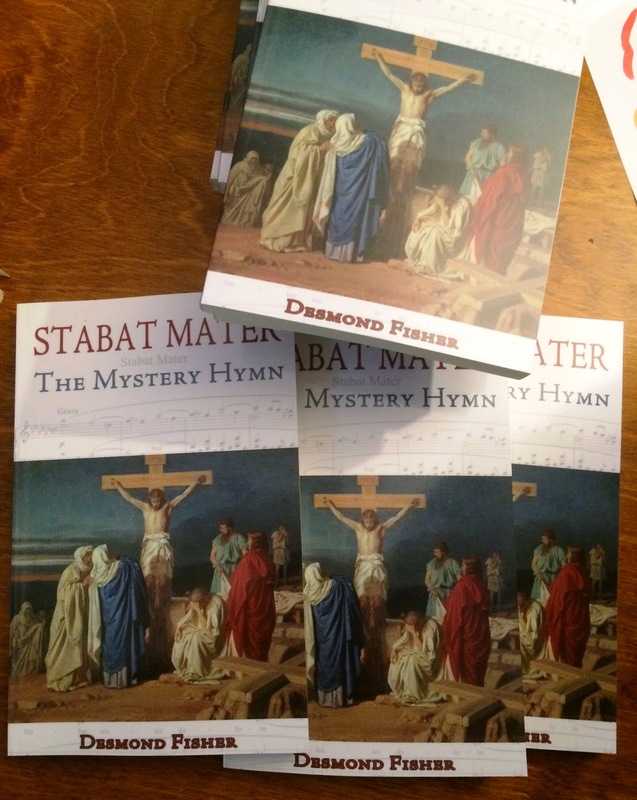 ● Desmond Fisher, Stabat Mater, The Mystery Hymn, Leominster: Gracewing, ISBN 978 085244 862 5, 176 pp, £9.99.